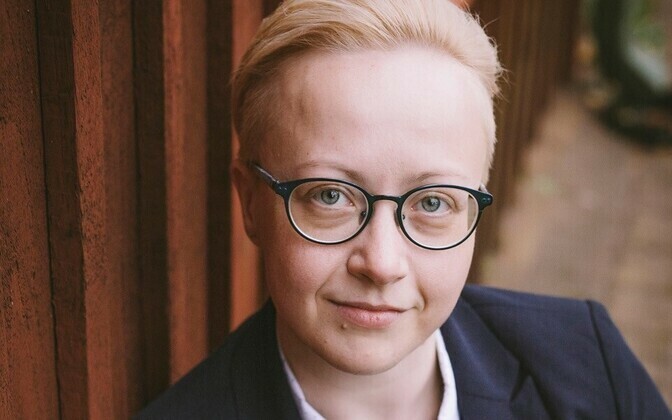 At the beginning of January, I compiled an annual overview for the Estonian LGBT+ Association, on issues that people came to me for through the course of 2018. The picture was shocking, writes the LGBT+ advocacy group's expert and lawyer, Aili Kala. I have been following how advice needed by the LGBT+ community has changed for many years now. These focuses have always reflected social processes. When I started working at the association in 2012, we only received a few queries, since there was no common legal framework regulating the shared lives of LGBT+ people. However, in early 2016 a groundswell of questions emerged, coinciding with the partnership act entering into force, but without the necessary implementing acts [the Registered Partnership Act 2014 still has not been accompanied by implementing acts, though in 2018 the Supreme Court ruled that its tenets were part of the existing legal order in Estonia-ed.] . This legal mismatch caused people problems, as they did not know which notaries were willing to sign a partnership contract or which social guarantees cohabitation entailed. Whilst these inquiries highlighted the inconsistencies in the legal situation, it was encouraging, since it showed that people were starting to make use of the law, a law which made up for rights they had previously lacked. Through 2018, I continued to receive inquiries from those wishing to register their partnership or to adopt children, but some new themes have emerged as well. Mental and physical harassment in the street, on public transport, at the library, even by the victim's own family. Online harassment and anonymous threats. Threatening to ''out'' a person at work. In short, the whole broad spectrum of actions that can be defined as hate speech. The cause of this may in part be a rising awareness on the part of LGBT+ people since we started operating. Recognising hostility is becoming more widespread. At the same time, those groups in society hostile to LGBT+ people have become more active too. Not only people in the LGBT+ community, but also we as an organisation, have also been hit both online and in ''real life''. In addition to this, we have to deal with those who come to our events purely to be disruptive and to express their hostility to LGBT+ people. The primary aim of these events is to provide a safe space for LGBT+ folk. But, for instance, members of our youth group have expressed concerns about whether it's even safe to come to our premises. As noted, social media has been one avenue for aggression, and this seems to have been particularly marked. Hence why our communications manager has to spend Christmas Eve deleting comments on Facebook, as they do on many other evenings. How do these comments unfold? First, a person writes a confrontational comment on the Facebook ''wall'' of an organisation or a private individual. This goes unanswered, so they write another one. Then another, and another, as still no response is forthcoming. In the end, there's a whole thread composed simply of the commenter's rage and yet still they are not sated, even posting again. In the bricks-and-mortar world, we had to replace our door sign twice in recent times due to damage or theft. Bear in mind the sign is firmly screwed into the wall, so there has to be a definite intention and anger to carry that out. Following police recommendations, we have had to prepare crisis guidelines for our employees and event organisers, including protecting themselves when events are infiltrated by those who oppose it, or even turn violent. Needless to say, all this scares people. Our organisation's psychological counselor has further added that the new populist forces in politics and their messages have made people even more vulnerable. Acceptance of LGBT+ people within families has always been a major issue. But there is a new tendency which has exacerbated things, namely that the parents, for instance, are following a newer and more conservative political movement which brings their LGBT+ children under redoubled pressures. Politics have been brought into the closest, most intimate circles. What does it say about the developments in our society? Pronouncements shouted from pedestals get louder and louder to anyone in earshot. When judges heads have to roll, the people become the judges and take things into their own hands, with a mob rule which scares people. If schools are riven with ''homo propaganda," we'll tell a boy at home what a freak he is, until he reverts to being ''normal''. Those who wish to make the world a better place are often ridiculed and abused. It starts with politicians, then spreading to the latters' followers. It seems that society has received the signal that violence is a normal part of life. This has created a feeling of impunity. It is now ''normal'' to lock an adult son in a room, or to strike a barely-adult girl, a total stranger, between the legs. By the whole family, the child must be called a freak, or - how else will he or she know? Or you should build the biggest garden fence around your house, to avoid incurring the wrath of a violent, loose-cannon neighbour. All of the above are examples of the types of cases we have been dealing with. There are a number of people whose lives have effectively ground to a halt due to their sexual orientation or their gender identity. Even greater are the numbers of people whose lives are marred because their family or society as a whole will not accept them. The current social climate only encourages more of these issues. It is clear that something is very, very wrong. But what next? Are we simply to wait for the first murders? Aili Kala is a lawyer and expert with the Estonian LGBT+ Association.